FC Schalke ran riot over minnows Duisburg as they picked up a convincing 5-0 win in the German cup on Saturday. And Franco Di Santo who was one of the scorers for the Gelsenkirchen outfit, decided to celebrate in a unique manner by pulling off a prank with his team mate, Leroy Sane. The prank, however, was really uncomfortable for the 19-year-old as it involved a spider which was inserted on the back of his shirt. Sane didn’t seem amused by the Argentine’s act as his immediate reaction was to take off his shirt which fairly gives us the idea that he isn’t a big fan of spiders. 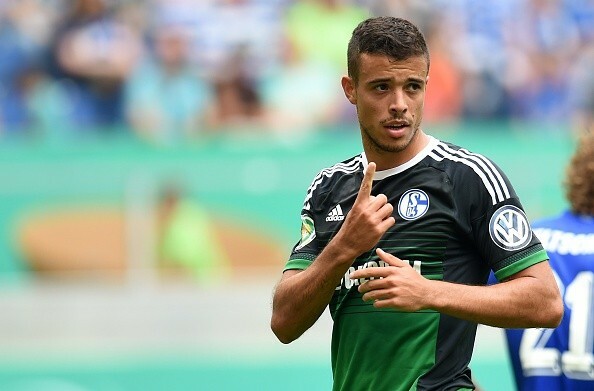 Di Santo who formerly played for Chelsea made a transfer to Schalke this summer after the forward left Werder Bremen for a deal that is reported to be somewhere around €6m. The 26-year-old Argentina international enjoyed his debut with the German side as he netted one in their 5-0 win over and it looks like he is already enjoying life with his new mates at the Veltins Arena.